This is an oversized item. Please call us for shipping quote. 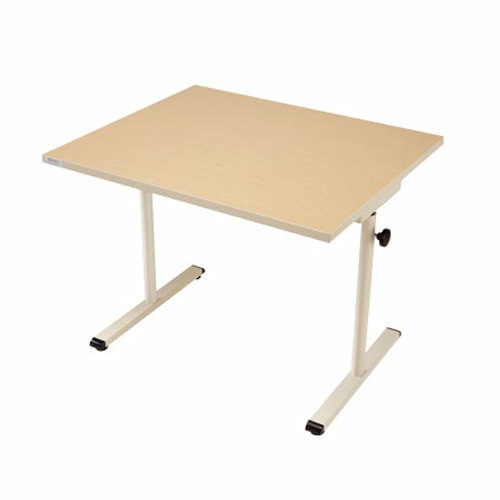 Knob adjusted adjustable worktable Dimensions 36" x 30" Adjustment range 10" Start/end height 23", 33" Leg span 30"
Knob adjusted adjustable worktable is ideal for use as an accessible table in school settings or in a clinic for therapy activities. Adjustable worktable provides adjustability for individual positioning or multi-user environments. Knob adjusted worktable offers cost-effective height adjustment and ample knee space to accommodate children and adults who use wheelchairs. 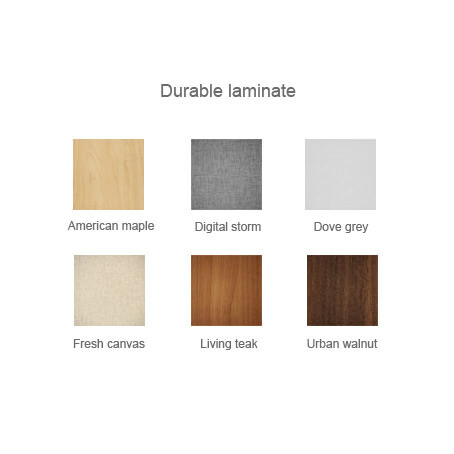 Worktable features standard tabletop construction with durable laminate finish and vinyl edge. Adjustment range 23" - 33"
Manufacturer provides Lifetime warranty that covers defects in materials and workmanship in selected products to the original purchaser. Manufacturer will repair or replace any product component or product that is deemed to be defective by its representative. Damage to any product caused by improper use, application or installation; changes in the look of any finish over time due to normal aging. Damage to any finish caused by improper cleaning, maintenance or exposure to corrosive elements; normal wear and tear, which includes scuffs and areas of heavy wear. Incidental or consequential damages, including labor to replace parts or products, repair of hydraulic hoses or recharge of hydraulic fluid for the Accella and Infinity series products. Motorized and electrical components included in the Vox, Infinity and Approach brand of products are covered by a Five (5) Year Limited Warranty. The gas piston included in the GPP models is covered by a Five (5) Year Limited Warranty. No returns will be accepted after 30 days from date of shipment. All returns must have prior authorization, unauthorized returns will not be accepted. All returns are subject to a 25% restocking fee with customer responsible for return shipping, unless covered under warranty. Returns are accepted when properly packed in original packaging only. Manufacturer will not cancel or accept returns of custom-made orders once in production. No returns accepted for Hygiene & Bath products due to health concerns.